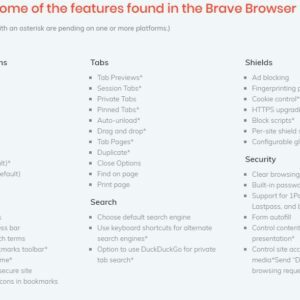 Brave browser, the browser for the brave. Okay, so not really x-men levels of bravery here, though it does take a mental shift to go from something you are familiar with, to something different and slightly alien. 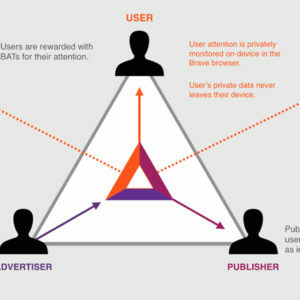 The team behind Brave browser referred; up to 50% of average mobile data consumption (based on average users) goes to trackers and ads. Bear in mind this constant extra usage will reduce a phones battery life by up to 21%. Imagine every ad that loads takes 5 seconds to load on mobile devices, that is a lot of your time wasted once you add it all up. I have been using it for two days on a pc and it has already saved me over 2 minutes of time. The team at Brave are on a mission. They aim to build a faster, safer and fairer browsing experience for the user. There is one other key element that has not been touched on yet either, this browser pays for the ads it does show. Brave browser supports content creators through a contribution system and rewards tokens. Basic Attention Token (BAT) is an ERC20 Token based on the Ethereum Blockchain. BAT provides a digitial ad exchange. This exchange gives advertisers the ability to buy ad space and users attention. Don’t forget this is exactly the same product both Google and Facebook offer when selling their ad space. Combined with Brave browser, the process is clean and painless; Brave notices where users spend the most time. It will then use this information for calculating proportional rewards for each publisher using BAT. Brave will only monitor anonymously. The users private data will never leave their device in this process. Brave browser, originally funded through an initial coin offering (ICO). Today the browser has broken the 3 million mark in regards to userbase; Brave aim to have that figure at a nice plump 5 million by December. Considering Brave was only a year old this May, the team have made serious strides in such a short time!